So, how is it possible to get one of them slots for the Super Bowl 2014? What are the requirements and what are the methods in joining this contest? How legit are the methods in order to get a commercial slot at the Super Bowl 2014. Here are two examples on how they get to have the spotlight in the Super Bowl. Chicago-based wood furniture manufacturer, Urban Wood Goods, is among the 20 other companies that made it in the Intuit Small Business Big Game contest. Out of 15,000 participants in the contest, this company qualified to compete for the grand prize of having a professionally produced ad for the upcoming Super Bowl. According to the co-owner of Urban Wood Goods, Erin True, the exposure would literally be ‘game-changing’. He also added that their company is different from other furniture makers since they used salvaged lumber in their products. Moreover, the company has been operating for a long time and their trademark is within each of their fine furniture. Every Urban Wood Goods’ furniture is made from century old wood, which is normally salvaged from the deconstruction of a century plus old buildings and barns in Illinois and in the Midwest. The Urban Wood Goods product offering includes tables, benches, desks, vanities, stools and more, as well as custom and to-spec pieces. In order to join the Small Business Big Game contest, small-time business owners, such as True, were required to send in a video clip about their business. Those videos were then published on the official Business Big Game website, and the public will vote the video of their choice starting from early August. Once the votes are tallied, the 20 small businesses with the highest votes will then qualify in the semifinal round of the competition. During the semifinals, the votes for the final four will come from Intuit’s 8,000 employees. The announcement of the final four will be made on Nov. 11. Once the final four has been determined, voting will be open up to the public once again to determine the grand winner, which will be announced on Dec 1. The winner will have their professionally produced commercial aired during the Super Bowl on Feb 2, 2014. Urban Wood Goods are just one of the homegrown American brands that wish to have their name known during the Super Bowl season. Of course, aside from local businesses, small companies from other countries could be also given the chance to prove themselves worthy of being introduced. Doritos’ campaign, “Crash the Super Bowl” has gone global, along with Pepsi’s annual contest to participants in 46 different countries where the chips are also exported. This strategy allows Doritos to get more quality submissions. This also means more budget to be allocated for the program, while PepsiCo uses paid digital media and OR in order to endorse the contest worldwide. The program also includes promotion at film festivals, sporting events, as well as partnerships with universities that specialize in creativity. Doritos is planning to air two user-made spots at the Super Bowl 2014, where one is from the votes gathered from the fans and the other is from the Doritos marketing team itself. The makers of the two winning ads will also have the chance to be on the set of the upcoming movie "Marvel's The Avengers: Age of Ultron." In the previous year, the brand had a tie-in with the "Transformers" movie franchise. In the past few years, Doritos gave away cash prizes depending on how high winning entries scored on the charts. For this year, prizes will be based on fan votes. The entry with the highest vote will get $1Million, while the runner-up will receive $50,000. Another strategy that Doritos will be using for their campaign is the use of social networking sites. While they have already developed a Facebook app as a contest hub, Doritos is planning to extend the contest platform on other networking sites like YouTube and Twitter this year. Users can start submitting their ads on Oct. 8. The global inclusion of the contest was led by Doritos’s previous moves to merge marketing strategies with the world. For example, they have redesigned the packaging earlier this year to give it a more consistent look while launching its first "For the Bold" global campaign that was handled by incumbent agency, Goodby, Silverstein & Partners. These are just a couple of examples on how a small company can get a million-dollar opportunity to promote their brands at the Super Bowl. To sum it all up, small businesses can get to this prestigious slot by being active and gaining the favor of the public. Although they all seem like a game of luck, this doesn’t mean that they cannot participate, or they don’t qualify. What matters here is how dedicated the company is in making the American dream better, especially during the Super Bowl season. 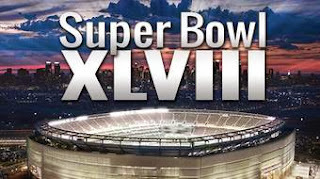 The annual Super Bowl is one of the most anticipated sports event in America. Of course, the event will not be complete without the participation of different homegrown brands. Even if small businesses fail to get the slot for the Super Bowl 2014 Ads, they can still continue in finding ways on how they can improve their marketing strategies and be partners with other businesses in order to be known and gain better favor from the public.